Last week the internet watched in amazement as Leo Weston solved three Rubik’s cubes while juggling them. Now he’s back to show us how he faked the entire thing, and its just as impressive. 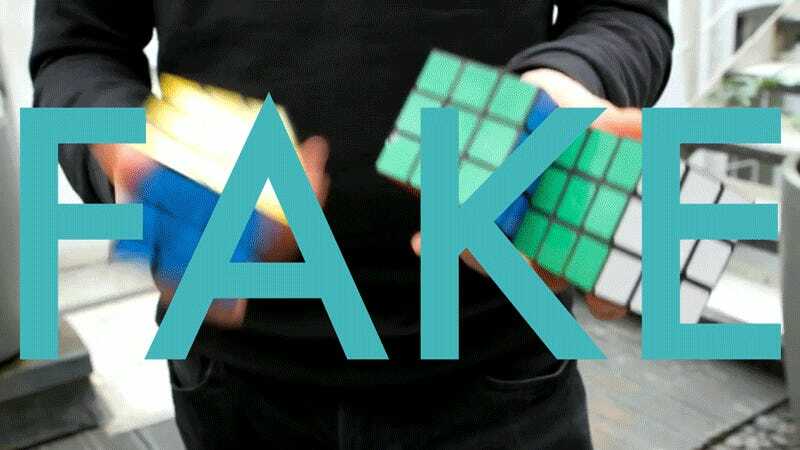 The footage was captured by juggling solved cubes and then digitally removing them—so that element at least wasn’t faked. Leo and the rest of the Rushes VFX team grabbed still photos of cubes at various angles and levels of scrambledness, which were tracked onto the solved cubes. Once the camera pans out, the Rubik’s cubes get replaced with 3D models. Lighting effects were added to match the space where the original footage was shot. Rushes are some talented folks. Maybe one day they’ll use their VFX wizardry to make me look like I’m ripping a solo on three key-tars while juggling them (word of warning guys, I don’t know how to juggle or play the key-tar).